Cross Country Express: Happy Thanksgiving! 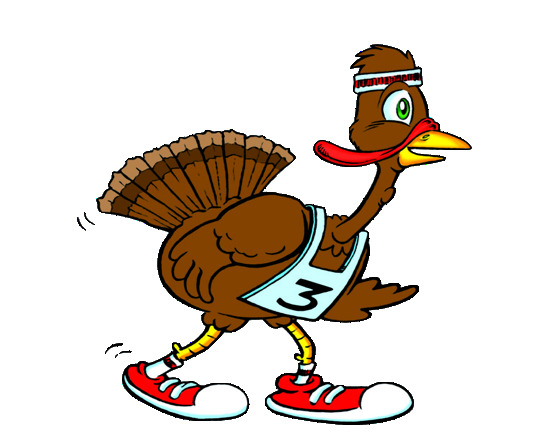 Happy Thanksgiving to all of you out there whether you are part of the Cross Country and/or Track and Field communities. Best wishes to all the competing athletes at Saturday's California State Cross Country meet. As we near the end of this Cross Country season and if you have enjoyed the coverage on this site, feel free to make a kind donation for the upkeep and maintenance of this blog. You can do so at the PayPal link to the right. I will wrap up this current season in the next couple of weeks including the Northern California awards and start looking ahead to the upcoming Track and Field season. If you have any ideas to make this site even better, feel free to do so in the comment section below or email me at albertjcaruana@gmail.com. Do you a have a state meet preview to combat milesplit's horribly biased CIF previews. They didn't mention Dublin as a team contender in the D2 boys race and didn't mention Granada in both boys and girls races. I only did Divisions IV and V previews on MileSplit. I hate to say it but prepcaltrack has a good preview of the D2 race. Spoiler alert: Dublin and Saint Francis rank pretty high. I think Milesplit is having trouble with some predictions since they are using times from various courses to compare... If this were track that would be good but we all know xc doesn't work that way... Anyway, I think St Francis has GREAT shot for D2 win but will have their hands full with Dublin ... Let's get a CCS team to NXN as well! Go Lancers!